Luckily, a special training has been developed to teach contractors and construction teams as well as hospital staff and designers the infection-control risk assessment (ICRA) protocols and procedures designed to protect the health and safety of everyone involved during construction in an occupied health-care facility. This ICRA training program covers best practices for contaminant control, mold remediation, air quality maintenance, communication, and documentation, as well as addresses worker responsibilities, consequences, and recommended work practices. Training participants gain the knowledge and tools necessary to prevent these potentially deadly pathogens from escaping the construction area and hurting someone. The key is control. Contaminants unearthed during the construction process can infiltrate patient and staff environments through the HVAC system or be carried through the facility on the bottom of shoes, clothing, carts, or any other number of potential conduits that exist. With proper ICRA training, the construction team can effectively contain the construction area by constructing containment barriers, carefully controlling the potentially contaminated airflow, and using safeguards and equipment to prevent the transmission of harmful agents on shoes, clothing, and other objects that may enter and leave the construction site. Containment barriers are used to prevent dust from entering patient-care areas. There are many different types of containment barriers available, from soft barriers created by a plastic zipwall to rigid barriers constructed from metal studs and drywall and even airtight reusable containment systems. It is important for construction personnel to be able to identify the right type of barrier for the project based on the amount of dust that will be generated and the length of time that the barrier needs to be in place. Then, they must be able to erect it correctly, without creating dust, and follow proper protocols to ensure the integrity of the containment walls throughout the course of the project. Containment barriers are used to prevent dust from entering patient-care areas. The ICRA training program offers construction professionals the hands-on experience necessary to select, build, and maintain the containment walls for every level of the work-area classification on the ICRA Matrix. Another way that airborne contaminants can be contained within the construction area and removed altogether is by controlling the contaminated air with negative air pressure. A negative air machine with high-efficiency particulate air (HEPA) filtration removes contaminated air from a sealed containment area and captures the contaminants. The filtered air is then exhausted outside of the containment area to create a negative air environment. This negative air pressure or vacuum effect helps to ensure that airborne pathogens do not escape the containment area and infiltrate the health-care facility through the HVAC system or other conduits. During ICRA training, construction professionals will learn how to use HEPA units to scrub the air in a construction area and create a negative air environment to control the movement of airborne pathogens. They will also learn how to appropriately maintain the prefilters and filters on the negative air machine and monitor the negative air pressure to ensure the system is working correctly. There are several other pieces of equipment and even another area, the anteroom, that help to prevent contaminants from leaving the construction area on construction workers or other people and objects that may visit the project site. Sticky mats or walk-off mats are commercial floor mats designed to remove dust and debris from the bottom of shoes or cart wheels. They are often placed at the entrance and exit of the work area. These mats will need to be appropriately secured and regularly maintained for optimum performance. Personal protective equipment (PPE) and patient protective apparel (PPA) are clothing that is worn on the outside of a person’s personal clothing to prevent transmitting dust and dirt from workers to patients or hospital staff. These full-body suits can include gloves, shoe covers, and hoods. Part of the ICRA training addresses how to properly don and doff the PPE and PPA. 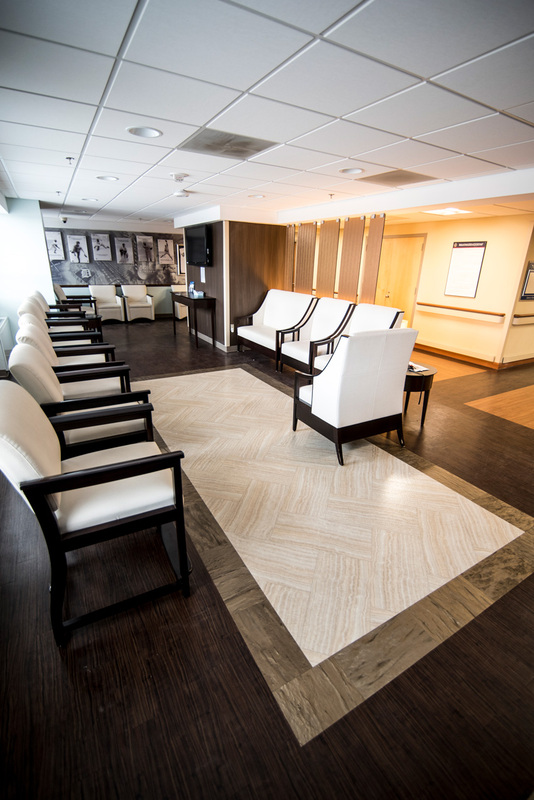 The anteroom is designed to separate the work area from the patient-occupied area of the hospital. It provides an additional level of protection with its own negative air machine to help contain the potential airborne contaminants from leaving the containment area. It can also be used to put on and remove PPE and PPA. Another objective of an ICRA program is ensuring that the construction work occurs without disrupting adjacent operations. Sometimes the construction area is next to a patient room or surgical suite. Whatever the schedules of the surrounding areas, ICRA-trained professionals understand the importance of flexibility and will figure out how to plan the completion of the construction job so that it doesn’t interfere with patient comfort or other hospital operations. Contractors can be scheduled in second or third shifts to accommodate the needs of the health-care space. In recognition of the truly collaborative nature of infection control, two ICRA training programs were developed to address the needs of all construction-related professionals and health-care professionals that could benefit from the knowledge of ICRA protocols and procedures. Architects, engineers, hospital staff, interoffice contractor personnel, project managers, contractors, and subcontractors’ owners could all help to participate more fully in containing contaminants and infectious agents during construction in occupied health-care facilities by attaining the proper ICRA training certification or awareness. The ICRA training program helps all construction-related professionals understand and execute the proper protocols and procedures that keep patients safe during construction in occupied health-care facilities. Upon the completion of either course, each professional receives three credentials: a certification of completion, a photo ID badge, and a hard hat sticker. This enables attendees to prove and employers to verify that members of their team achieved the proper ICRA training certification or awareness. The 8-Hour Awareness ICRA training program is tailored for all building trades professionals and health-care professionals. These professionals will benefit from a high-level awareness of the ICRA protocols and procedures that will prevent the spread of infection during construction projects in the occupied health-care space. This one-day class explains the potential issues that can occur during occupied construction jobs and the fundamental rules of infection control. After attending this course, participants will be able to engage in conversations with a facility’s ICRA team in a more meaningful and informed way and help the construction team achieve compliance with ICRA protocols through improved planning in the design and construction phases of the project. Designers taking the ICRA training will be able to incorporate ICRA awareness in the preplanning stages of the project, allowing them to include the temporary containment walls on the drawings and create more visibility for ICRA protocol support throughout the design process. The 24-Hour ICRA training program is tailored for all carpentry professionals that will be responsible for building and maintaining the construction-containment walls. The 24-Hour ICRA training consists of 16 hours of in-class instruction and 8 hours of hands-on learning in the shop. Participants will learn how to select and construct effective containment barriers, create and maintain negative airflow environments, and practice using several other pieces of infection-containment equipment before it is necessary on the project site. It should be noted that there are also efficiency and productivity gains that are realized by having teams that are able to construct the necessary areas and systems correctly the first time. These ICRA training programs ensure that all professionals are familiar with the proper ICRA protocols/procedures and why they have to be followed. Working with a greater awareness and compliance of health-care facilities’ infection-control and infection-prevention protocols is a proactive approach that will directly affect patient safety and job-site safety in a positive way. By utilizing both the 24-Hour and 8-Hour ICRA training programs, everyone becomes involved in the common goal of raising the bar on patient safety during construction. Specifying that ICRA-trained professionals be selected for occupied health-care projects offers many benefits to the patients, facility, and construction team. It should be noted that in order for the ICRA training to occur before the project commences, designers will want to make that requirement known as early as possible in the planning and specification process. For more information on participating in ICRA training or specifying ICRA training for the construction-related professionals on a health-care project, visit icraforbuilders.com. These new training programs enable teams to provide safe and sterile health-care environments during and after construction projects in new and occupied facilities. 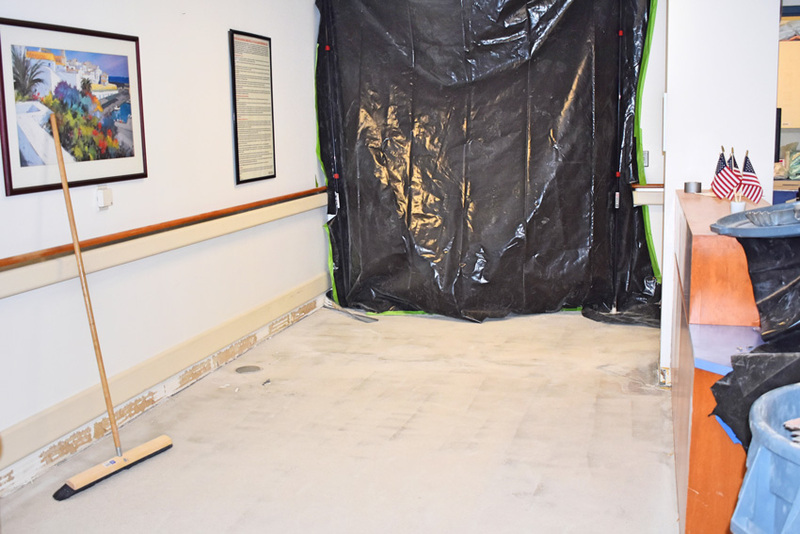 Construction projects in occupied health-care facilities have been creating dust and dirt and releasing potentially harmful pathogens into the healing environment for centuries. Thankfully, now there are proven procedures that are designed to keep these construction-related by-products away from patients. Containment walls, negative airflow, walk-off mats, and more are now available to protect patients from being exposed to any of the contaminants that could cause another disease or infection. Now that the technology exists, it is time to make sure that the construction professionals working in health care are trained in the proper techniques. Designers can attain ICRA training to be able to participate more fully in these important discussions whenever working on a project in an occupied health-care facility and specifying that all construction-related personnel achieve ICRA training will only help them to build out a brilliant design, without causing harm to one body. 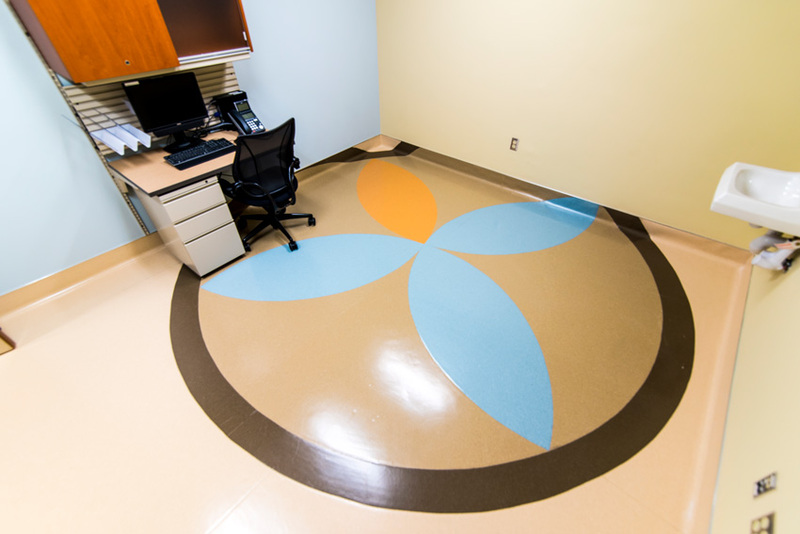 In the end, whether the training helps floorcovering installers provide floors that are safer and more sterile or enables a larger construction team to protect a facility full of immune-compromised patients, the INSTALL and ICRA training programs now available help designers deliver health-care spaces in a more health-conscious way. Jeanette Fitzgerald Pitts has written dozens of continuing education articles for Architectural Record covering a wide range of building products and practices. As the industry’s most endorsed/specified training program, INSTALL leverages partnerships to bring together field know-how and in-depth product expertise. The INSTALL Promise is to deliver top-quality flooring installations in which we all can all take pride. When you specify a flooring system, you want to make sure it performs to your customer’s expectations. INSTALL is there to make sure it does.